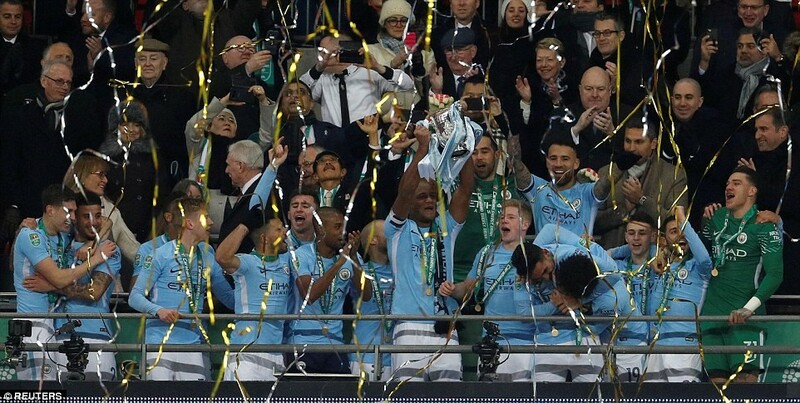 Photos: Pep Guardiola wins first trophy at Man City – Royal Times of Nigeria. Pep Guardiola’s Man City won the Carabao Cup on Sunday evening following a marvelous 3-0 win over Arsenal at Wembley stadium. This is Guardiola’s first trophy at the club since joining last season.